It is important to us that the new girls who join St Mary’s are happy and secure in our unique community. To give you the opportunity to experience the school to the full we recommend that families try to attend one of our Open Mornings. We hold at least one Open Morning every term. Seeing the school at work, having a tour of the stunning grounds and facilities and meeting our current girls, staff and Head is a good way to establish an initial overall impression of St Mary’s. We would then encourage you to come and meet privately with the Head and other staff and for potential pupils to come and enjoy a taster day and sleepover. This is the perfect way to really experience St Mary’s and all that we have to offer. Parents are encouraged to register their daughters as early as possible. This ensures that you will receive our newsletters and any other information that may be of interest to prospective parents and pupils. Most importantly, it secures your interest in a place at St Mary’s. 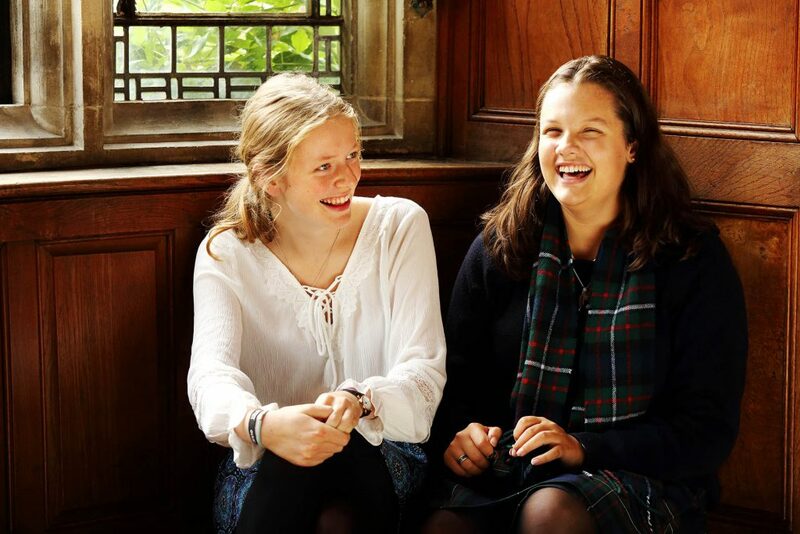 Registration Forms are available to complete online here or via our Director of Admissions (admissions@stmshaftesbury.uk) and once completed the non-returnable registration fee of £150 should be paid. We have our own Entrance Examination Day at St Mary’s for all girls starting the school in Years 5, 6, 7 and 8 (UII to LIV). This takes place in the January of the year of entry and includes English, Mathematics and a Non-Verbal Reasoning Test. Sixth Form applicants will be assessed using their predicted GCSE grades, and may also be required to take our school entrance exam. In the Autumn term of Year 7, all pupils from prep schools who have registered for a Year 9 place will be required to sit the ISEB pre-test. In January of Year 8, they will be required to attend the St Mary’s Entrance Assessment Day where they will meet key staff and be interviewed. Offers are then made within three weeks and are subject to satisfactory performance in the Common Entrance examination. Girls are expected to achieve a minimum of 50% in all subjects in Common Entrance. Please find more information on 13+ entry process here. Sixth Form applicants are assessed using their predicted GCSE grades, and may also be required to take our school entrance exam. The admissions procedure for international applicants is the same as our UK applicants although there will be provision made for them to sit their entrance exams in their country of residence. Each pupil will be personally assessed including by interview, and a candidate will be accepted on the basis that we are confident that St Mary’s is the right environment for the pupil to reach their full potential. Provided the candidate reaches the required standard in her assessment, a formal offer of a place at St Mary’s will be made. To confirm this place, we ask that a completed Acceptance Form is returned to us with a deposit of £1000. This is non-returnable until the pupil’s final term when it will be credited, without interest, to the final invoice. The admissions procedure for International Students is the same as our UK applicants although there will be provision made for them to sit their entrance exams in their country of residence. On accepting the offer of a place an additional deposit of £10,000 is normally required.